With a new expansion being announced, I decided it was finally time to play Legion. This appears to be my traditional approach now – not playing until it’s almost too late. I’ve realised that some of this is down to wanting to avoid the expansion level rush, and the pressure to ‘keep up’, but waiting 14 months was probably overdoing it. On the plus side, it has meant a very relaxed and meandering approach to getting to 110. As a Tauren I headed straight to Highmountain, which turned out to be one of my favourite zones in the game. 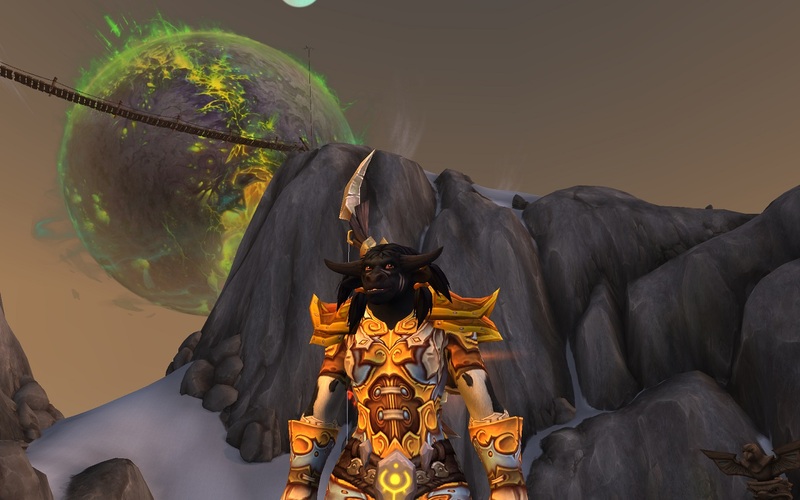 An entire region dedicated to moose horned Tauren was as good as it sounds (if you’re that way inclined). The Taunka zones in WotLK came close, but Highmountain was something special. 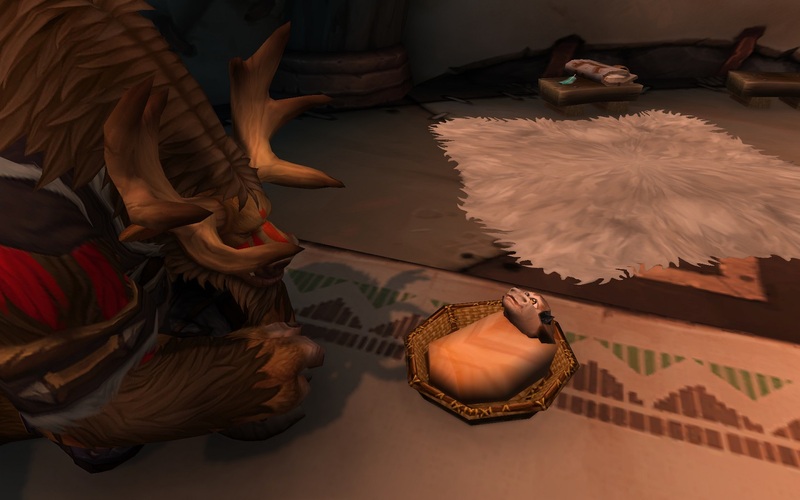 You’re tasked with reuniting the scattered tribes of Highmountain, with each having their own story and theme. The quests are wide and varied and there’s plenty of exploring to be done. The mountainous design of the zone led to some terrific viewpoints once you’d circuitously scaled your way to the top of a distant peak. Perfect for the snow loving brigade out there. There are also many named mobs – aka Silver Dragons – scattered throughout the zones, and they’re all worth seeking out for both the loot and (minor) fight challenges. There are plenty of nooks and crannies that you stumble upon, with either small stories to tell or sometimes just flavour. And of course the Murlocs are plentiful. 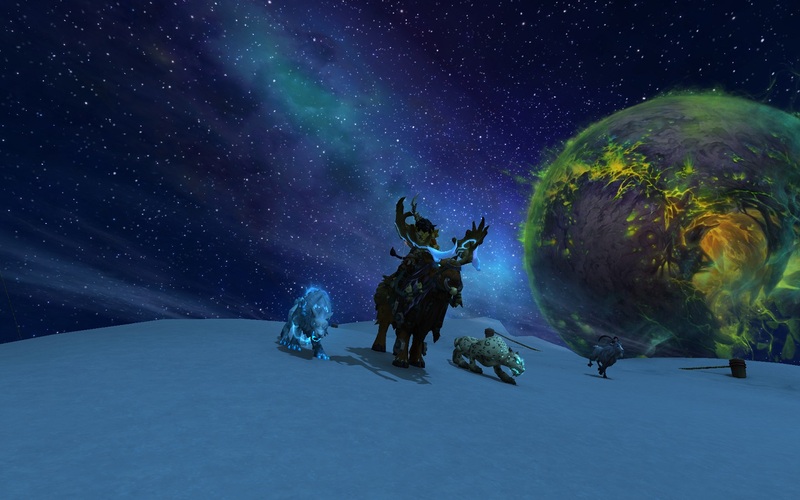 Draenor introduced the concept of treasures into Warcraft, and they are used in Legion to great effect as a tool to lead you to far and varied locales. Some are easy, some are tricky and may require add-on help to find, and it’s a fun addition and nice levelling boost to boot. 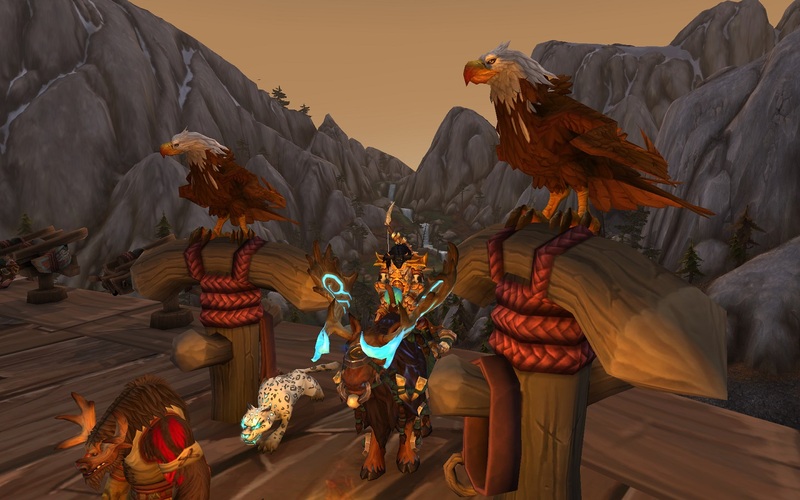 I would quite happily have spent the entire levelling process in Highmountain if it were possible, but as it was I had run out of content by level 105. So I grumblingly bid farewell to my home away from home and headed off to Stormheim, picked mainly due to the name sounding good. And it was quite good, with the grappling mechanic in particular being fun. Early on you’re equipped with a grapple, and throughout the zone there are vertiginous points to attach to. 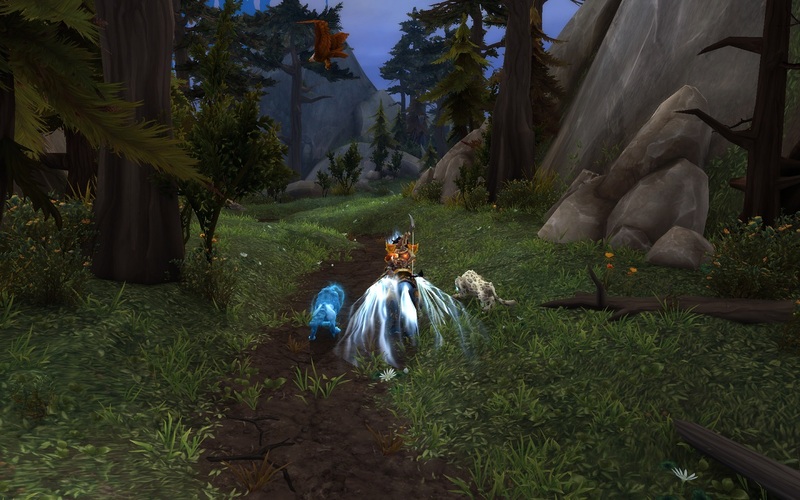 These allow you to scale crazy cliffs and scoot overhead through enemy Vrykul villages, which is all good fun. The story was less compelling, but I am biased, and the zone overall had a bit of a dreary tone to it – it seemed to be raining 75% of the time I was there. I’d love to see it in sunlight as some of the vistas and golden leaves look nice. It’s a pity the Vrykul aren’t one of the new BfA playable races, but I suspect their size would be a problem (they tower over Tauren), but the models for the Highmountain are all excellent which more than makes up for it. Just as I was done with the main Stormheim storyline I dinged 110. So it only took two zones out of four, covering most treasure finding and mini bosses, which seems much quicker than other expansions. It was nice how each zone story culminated in a dungeon, though being so far behind the curve meant the dungeons were being cleared faster than I could loot, let alone fire off a few shots on a boss. As usual once hitting cap, the game suddenly changes tack. Instead of venturing around helping shore up our forces, you’re suddenly invited to help save some ghostly Night Elves in Suramar (and spend the rest of your days there I assume). Can’t say that was very tempting, especially after the, er, highs of Highmountain, so I think it’s back to the other two zones for me. Or maybe some alts. Having finally played the 10 levels, I tend to agree with those that find the Beastmaster Hunter class less satisfying to play now. 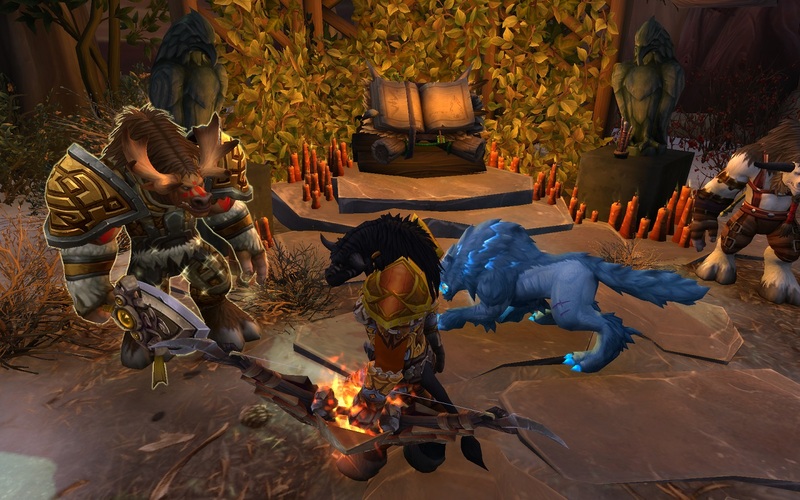 You are now mainly about controlling your menagerie of pets more than anything else, which leads to the animation spending a fair amount of time showing you doing anything but firing your bow. That’s kind of disappointing, as is losing Kill Shot which allowed you to land those satisfying final blows on low health mobs. Time to try Marksmanship on another character, though running without a pet may be a step too far. The other major Legion mechanic is of course the Artifact weapon. I enjoyed slowly powering up Titanstrike, though around level 109 it suddenly ground to a halt with thousands of points being required. Which made it even stranger hitting 110, when suddenly the meager 25 point boost items in by bags morphed into 25 million point boosts. Obviously a catch up mechanic, it did make the slow progress I had made to that point kind of redundant. May have well have waited to 110 and powered up the lot on one go. 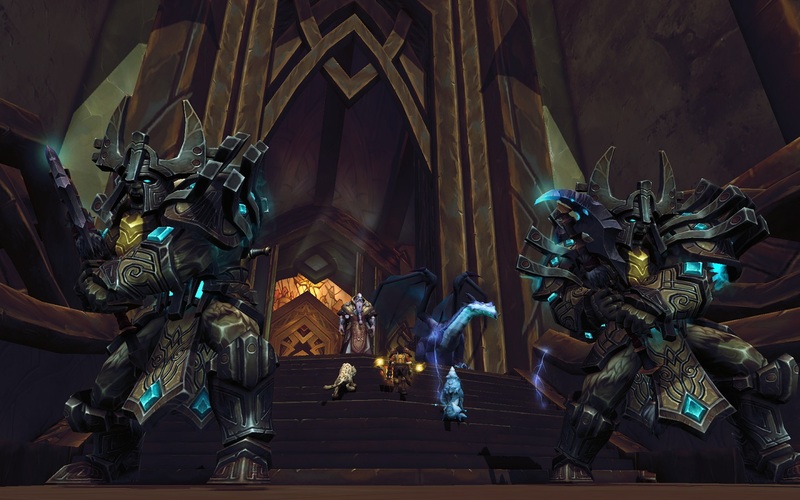 Overall Legion feels like an excellent expansion, I feel kind of silly having missed most of it. Though with BfA probably a year off, there’s plenty of time to see more.